What are best things to do in Annecy? 4. Paragliding: Discover Annecy differently! Are you looking for a destination in France for a short weekend? Look no further and go visit Annecy , Haute-Savoie! Whether in summer or winter, you will find your account and plenty to keep you occupied for 2 or 3 days by visiting the main places of interest of the city. 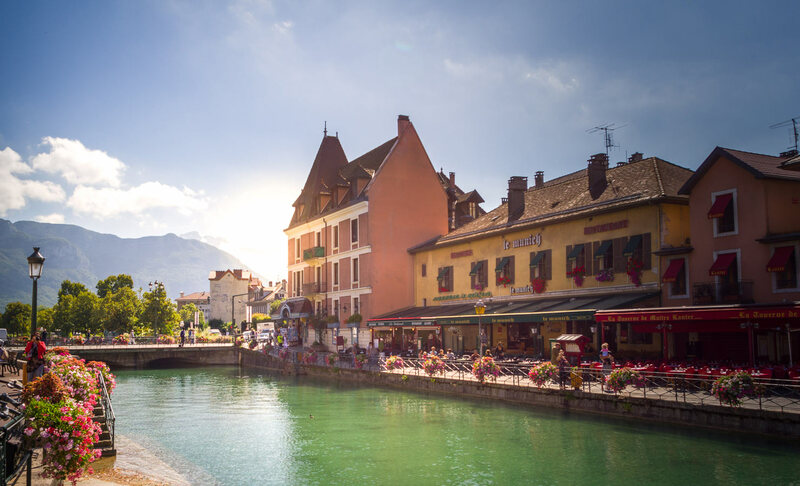 Here is our guide to things to do and see in Annecy and its surroundings , as well as a selection of hotels offering the best value for money so you know where to stay in Annecy! When we talk about Annecy , it’s impossible not to have in mind this picture of postcard: its lake with translucent waters reflecting the mountains that surround it. It is really the major tourist attraction of the city. This will be the first thing you will want to see when you arrive so we will not upset you, start your weekend with a short walk to the lake . You will be able to see for yourself the clarity of the water and the beauty of the place. You can for example start your walk starting from the Paquier (the huge lawn bordering the lake) and follow it on the right to the gardens of Europe . Following this route, you will go through the obligatory passage to Annecy, the bridge of loves with its padlock hung. On the other side, you can go to the gardens of the Imperial Palace , the grand hotel of Annecy, located on the edge of the town of Annecy le Vieux. 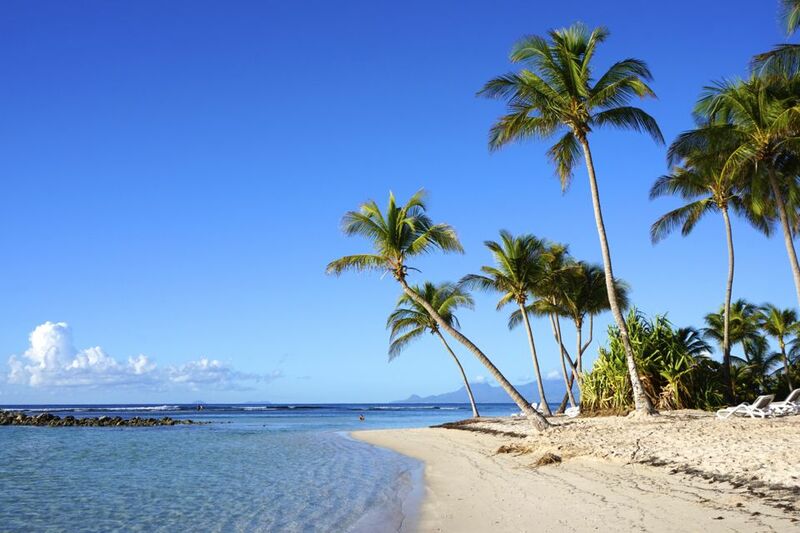 From there you will have the choice between multiple activities to make the most of this gigantic body of water. There is something for everyone, from the quietest to the most daredevil! In quiet version you can opt for the Segway ride , a beautiful activity to discover at Lake Annecy . It is the ideal place to learn this practice because totally pedestrian, no risk of being overturned by a car. The circuits range from 30 minutes (about 17 € per person) to 2 hours (around 55 € per person). The handling of the Segway is learned very quickly and can be a very good family activity. I recommend you book your Segway ride in advance. For the more athletic, you can cycle around the whole lake of Annecy , about 42 kilometers of bike paths, it is the ideal activity to enjoy many views of the lake, find small beaches a not very isolated and away from the crowd (especially in summer). For adventurers and thrill seekers, I recommend flying over the lake paragliding , the view is simply beautiful and beautiful surroundings. 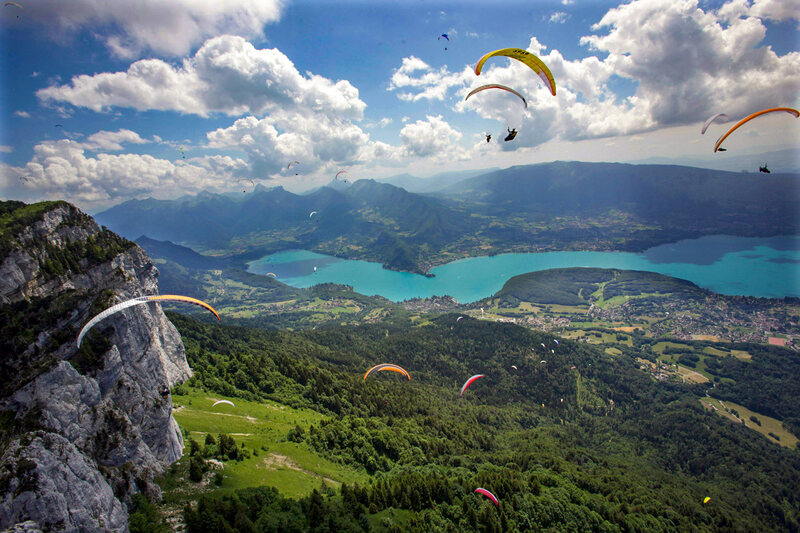 Annecy is the most popular paragliding site in Europe and regularly hosts the world championship in this discipline. Several companies offer flight baptisms from 95 € 15/20 minutes with the possibility to choose with or without acrobatics! Be aware that the start of jumps is usually the Forclaz or Talloires pass and it is better to have booked the service in advance. Paragliding in Annecy is the best way to discover this sport! To enjoy the lake being a little more quiet and why not take a dip a little further offshore, you will find, along the lake, various boats. On the program, a small pedal boat ride (at least 12 € per ½ hour) or motor boat driving without a license(from 30 € per ½ hour). 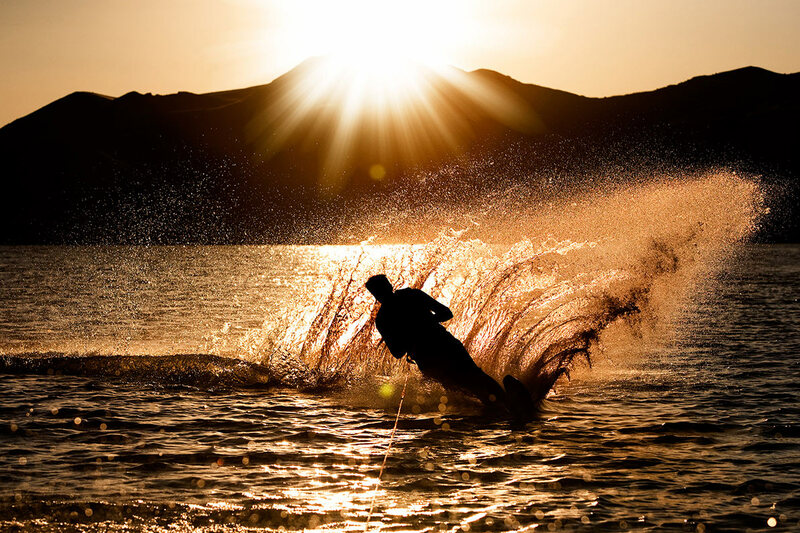 And the thrill seekers will be delighted once again, as you can also try to introduce you to water skiing or wakeboarding . Price: From 38 € for a tour. And for lovers of boat and good food, you have the opportunity to combine the 2 by opting for a mini-cruise on the famous boatboat “Libellule” Annecy. 2 departures per day, at 12h and 20h for a ride of about 2h30. For 65 € you will be entitled to the cruise and a meal (starter + main course + dessert). And if you want to do a free activity, you can just as well swim on one of the beaches of Lake Annecy! After the lake, the city of Annecy is famous for its old town and the canal that runs through it, hence its nickname “Venice of the Alps”. With its cobbled streets and arcades, the old Annecy has an indisputable cachet, it is a place of interest. From here you can also make the famous postcard pictures representing the flower lock or the Palace de l’Isle (an old prison) located at the junction of 2 channels. Do not hesitate to wander in all the narrow streets and also to follow the canal along the Louis-Lachenal promenade which will make you cross pretty wooded passages. It is also in the old Annecy that are concentrated all the restaurants (certainly tourist but for some really very good), all the small souvenir shops (and yes you can buy the famous set of table with the lake in photo) and grocery stores, charcuteries and cheese shops representative of all the good products of the region. But concerning these good products, I advise you to buy them directly on the market of the old city . They are held every Tuesday, Friday and Sunday morning along the canal from 7h to 13h. Do not hesitate to negotiate a little, it may be that a free sausage is at the key! Strolling through the streets of the old town is good, but doing it with ice cream is even better! Especially since there is an excellent glacier in Annecy: The glacier of the Alps , considered as one of the best in France. They offer more than 45 flavors, so the hardest thing is to choose! For lunch, if you love burgers, I recommend going for a walk to “Comme Chez Soi”, a small snack that does not look like in Old Annecy, 5 rue de la Filaterie. Everything is homemade (even bread, which is rare enough to be specified! ), And 6 euros burger, it is really cheap for quality food. The desserts are good too! If you are not from the region, being in Annecy will also be an opportunity to taste a good tartiflette, croziflette (made with crozets, pasta Savoyard), fondue, diots of Savoy or fish lake as perch , trout or Arctic char. From the old town you can reach the castle on foot but be careful it climbs a bit anyway. Admission is 5.5 € for adults. For this price you can visit the castle of Annecy and also discover its temporary exhibitions. The visit lasts about an hour, but we must not hide it is especially the view from above that is worth seeing. As I told you Annecy is nicknamed the “Venice of the Alps ” by the channels that run through it but it also borrows from the famous Italian city its famous carnival. 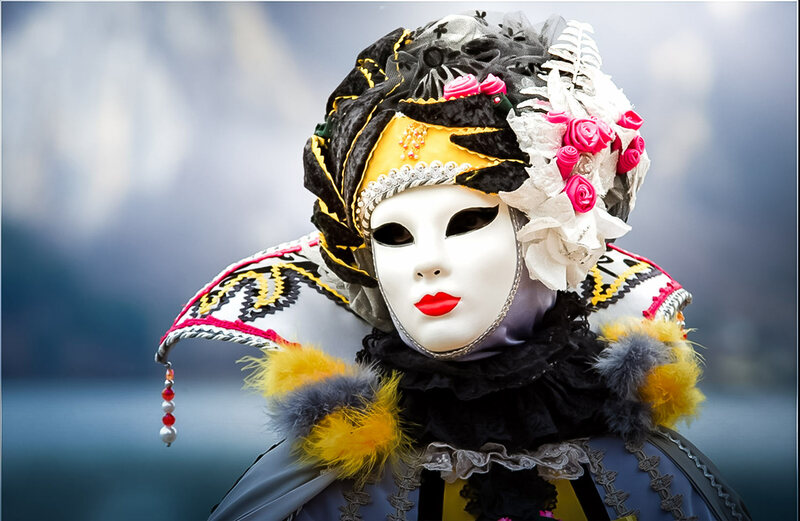 Every year, in general at the beginning of March , hundreds of people dressed in magnificent costumes having nothing to envy to those of Venice, parade and parade in the street. Various makeup or mask making workshops are organized for the occasion during this weekend of festivities. 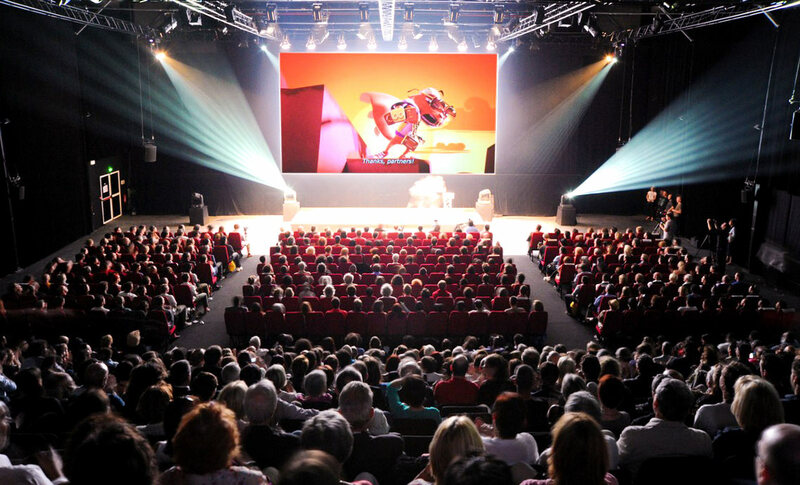 Every year in June, in Annecy, is held the international festival of animated film . Professionals from all over the world come to present their film, be it cartoons, shadows or modeling clay. But the must is that every night, a film is projected on a giant screen in the gardens of Paquier so that everyone can enjoy. Ideal for a family evening with an example in 2016, the projection of “the ice age” or the “world of Nemo”. It is the rendezvous for Annecy and tourists every year. 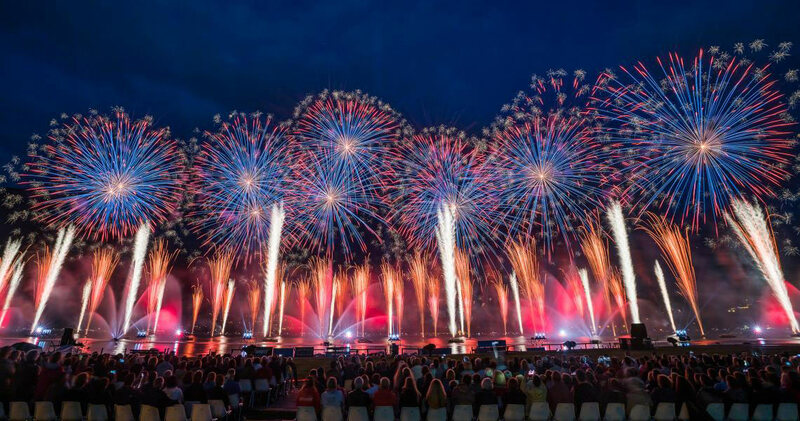 The first Saturday of August is the Lake Festival , a grand pyrotechnic show mixing music and fireworks. With a duration of approximately 2 hours it is the show of this kind the most important of Europe. The lights are fired from Lake Annecy and bleachers are installed everywhere on the lawn for everyone to enjoy. These places (about 46,000) are not free but as you well know a fireworks can admire multiple places then you have to go early enough (very early) to find the best location. There is indeed competition because this show attracts no less than 100,000 spectators each year. It’s the easiest ride around Annecy. Take your car and climb to the top, no worries to park, there are plenty of parking. From there you will have beautiful views of the lake and the mountains that surround it. You can also go hiking in the mountain pastures, mountain biking in summer and winter tobogganing, skiing and snowshoeing. The start of the hike is from the communes of Annecy-le-Vieux and Veyrier. You can walk several hours without much difficulty (even if it is only the climb) and you will be preserved from the heat because the majority of the paths are shaded. You will also have a magnificent view over the lake. Also accessible by car from the smugglers’ pass. For a stroll with a beautiful view of the lake, I advise you to go to the “Talabar”, a meadow overlooking Lake Annecy. Reserved for experienced hikers, this hike is difficult especially in its last part which includes chains, cables and ladders in addition to a slippery rock. You will be able to contemplate the lake as well as the massif of Mont Blanc. This is not a hike strictly speaking but rather a small walk in a natural site located about ten kilometers from Annecy. The gorges of the proud result of the erosion of the water on the rock which has dug a big canyon of more than 25 meters high. You can walk through these gorges along secure walkways that run along the torrent bed. At the end of the walk, do not miss the sea of ​​rocks. This natural site is quite spectacular, people prone to vertigo abstain. The site is closed from October to March and open every day thereafter. The price is 5.70 € for adults and the visit lasts approximately 1 hour. For lunchtime, eat a bite in the old town (a tartiflette if it is not too hot!) 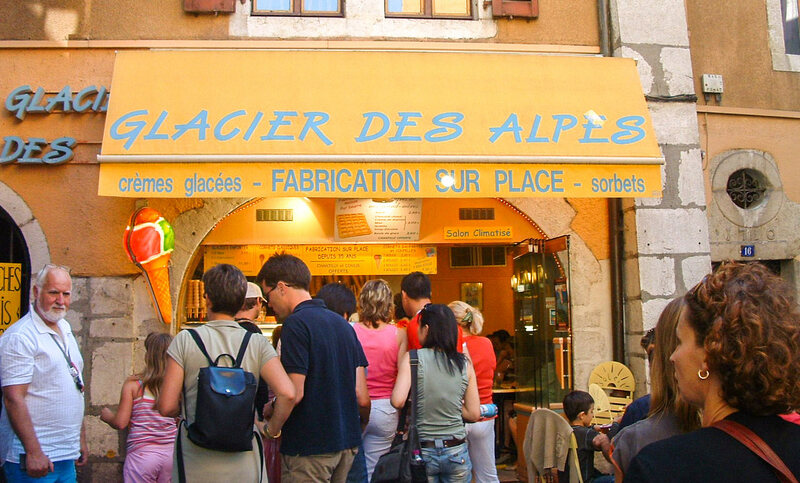 And finish with a good ice cream at the Glacier des Alpes! Then go to Lake Annecy for a nautical activity : wakeboard, water ski or pedal boat! Climb for the end of the day: Take a paragliding tour and see Annecy and its lake from the sky! 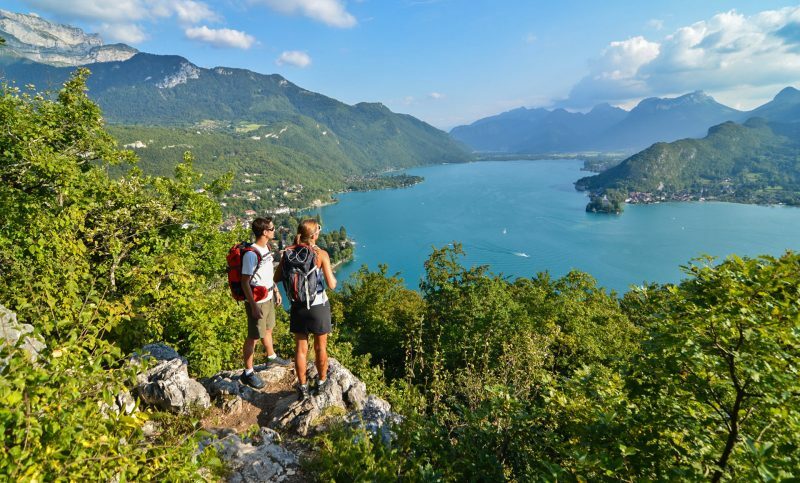 In 2 days in Annecy, you will have time to make a nice hike in the surroundings! In addition to the program of the 1st day presented above, I suggest you go for a ride in Semnoz , with for example this itinerary of walk which offers a magnificent panorama on the lake. For the more seasoned, the La Tournette hike is a great alternative to occupy your day! For the rest of the day, head to the beach , near Annecy le Vieux, which will allow you to relax while enjoying the crystal clear waters of Lake Annecy. 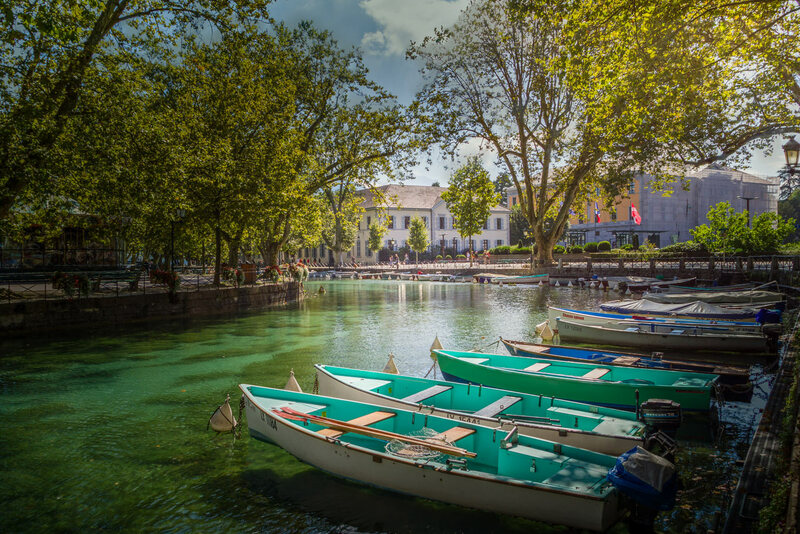 If you have 3 days in Annecy, it will give you time to take a tour of the lake, with, why not, a night in one of the villages at the water’s edge as Talloires or Menthon-Saint-Bernard. Take the opportunity to go take some pictures of the castle of Menthon-Saint-Bernard , or even visit it depending on the day and the season (more info on their website ). Another place with a great view is Duingt Castle on the other side of the lake. And if you are among friends, why not go for example tree climbing or a game of paintball in the forest near Annecy? 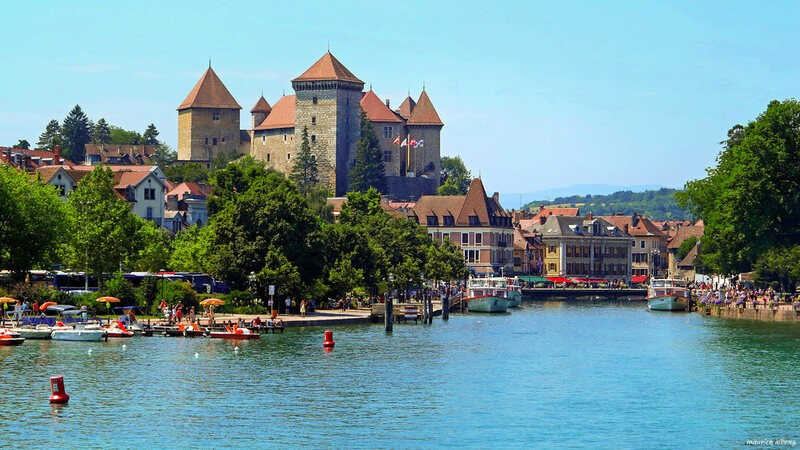 If you want to know more about the specific events that can take place during your stay in Annecy, I invite you to take a tour at the Annecy Tourist Office located at the Cultural Center Bonlieu, 1 Rue Jean Jaurès, 74000 Annecy . Hôtel des Marquisats : Located 20 minutes walk from the center of Annecy but with breathtaking views of the lake. Room with wooden furniture a little rustic from 85 €, breakfast included. Most: the lake view, the breakfast buffet very rich and free private parking which is very rare in Annecy. This is our favorite value for money because it is one of the only hotels offering a lake view at this price. Adonis Annecy – Hotel Icon : Located at the entrance of the old town, restaurants and shops nearby. Modern and bright room from 84 €, breakfast at 9 €. Plus: its ideal location. Campanile Annecy Center – Gare : Located 5 minutes walk from the old town and the lake. Spacious and comfortable room from 85 €, breakfast 10 €. Plus: preferential rate for parking next door. In Annecy, nights of hotels can quickly be quite expensive, so a good solution is to go through Airbnb to rent a room or an apartment!